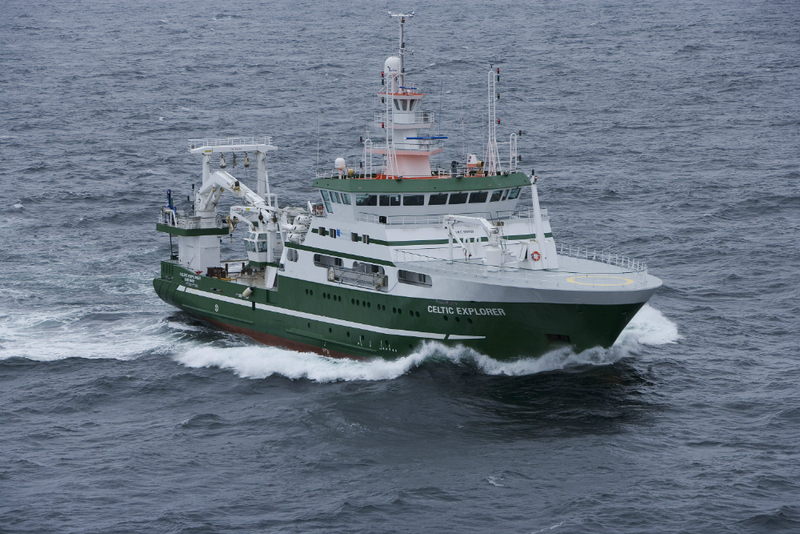 A multi-national team of ocean exploration experts led by Dr Aggie Georgiopoulou, University College Dublin, returned to Galway on World Ocean Day (8th June 2018) after spending three and half weeks exploring and mapping the tectonic spreading at the Charlie-Gibbs Fracture Zone of the Mid-Atlantic Ridge on the Marine Institute’s RV Celtic Explorer. 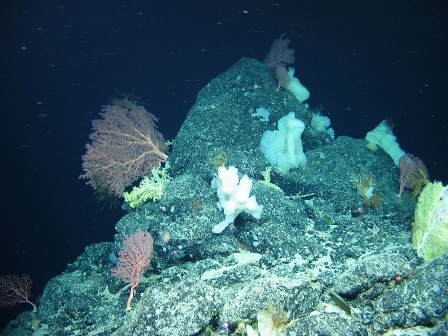 Using the remotely operated vehicle Holland I, “we collected spectacular film footage of sponge gardens and even a skate nursery at 2000m under the sea. The discovery of more than 70 skate eggs were found, which is a first for the deep-sea” explained Chief Scientist Dr Aggie Georgiopoulou. “The high resolution data produced by Ireland’s INFOMAR programme in 2015, that revealed spectacular landscape with 4000m high mounds rising from the seabed to 600m below the sea surface, taller than Carrauntoohil, Ireland’s highest mountain, has been instrumental in our continued research over the last month.” Dr Georgiopoulou said. The Charlie-Gibbs Fracture Zone consists of two huge parallel cracks in the crust of the Atlantic Ocean running between Ireland and Newfoundland and is the longest-lived fracture zone in the Atlantic. It is the most prominent feature interrupting and offsetting the Mid-Atlantic Ridge. Dr Georgiopoulou further highlighted that “what we have found at the Charlie-Gibbs Fracture Zone surpassed all of our expectations. Exploring three mountain areas, 500-1000m high scarps were discovered that have been produced by catastrophic rock avalanches, with giant boulder fields spilling into the fractures. Although these fracture zones are similar to the San Andreas fault in the western US and the North Anatolian fault in Turkey and Greece, with large earthquakes taking place there regularly, this is the first time there has been a dedicated geological study in the Charlie-Gibbs Fracture Zone area”. 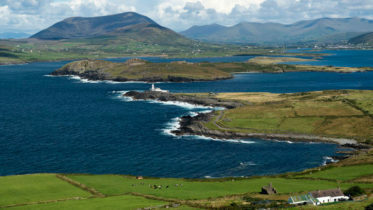 The TOSCA expedition involved 13 scientists from nine institutions and five different countries including Ireland, UK, Germany, Canada and Greece. Experts in seabed mapping, marine geology, oceanography and marine biology, each team will return to their respective Institutes to analyse all the data and work out how the mountains were formed, when and how the rock avalanches take place and how the geology affects the local habitat. Dr Peter Heffernan, CEO of the Marine Institute congratulated the team on their recent discoveries, stating that deep ocean expeditions cannot be taken for granted as we need to better understand the features that make up the ocean seabed. With the ocean affecting climate change, global population and seafood demand, we need to map our seabed to define favorable habitats for fishing, key sites for conservation, and safe navigation for shipping”. “The expedition supported by AORA also reflects the value and essential role of international partnerships, particularly with achieving the shared goals of the Galway Statement on Atlantic Ocean Cooperation 2013, which include our ongoing cooperation on ocean science and observation in the Atlantic Ocean. Funding has come from the National Development Plan Ship-time Programme and from the German Science Foundation (DFG). The planning and organisation of the expedition has been coordinated by the Marine Institute.